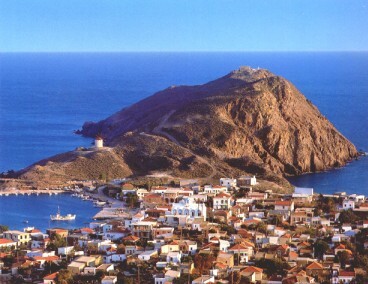 The island cluster that is northwest of the island of Chios encompasses 7 islets, the largest of which is called Psara. The smaller islets include Antipsara, Kato Nisi, Aye Nikolaki, Daskalio, Prasonisi and Nisopoula. This island cluster is approximately 48 nautical miles north west of the island of Chios. Psara, in addition to the 6 islets, exhibits a rocky terrain filled with hills and mountains. The highest mountain on the island is Prophitis Ilias (Ilias the Prophet) that extends 640 meters. This rocky terrain is inadequate for cultivation, thus the 500 inhabitants of the island were forced to turn to maritime activities for income. These islands offer peace and tranquility, rest and relaxation to their visitors. There are no cars or motorbikes to disturb the peace and the inhabitants of the island extend their heartfelt warmth and genuine hospitality to visitors. Products renowned on this island include lobster, honey, and local cheese.